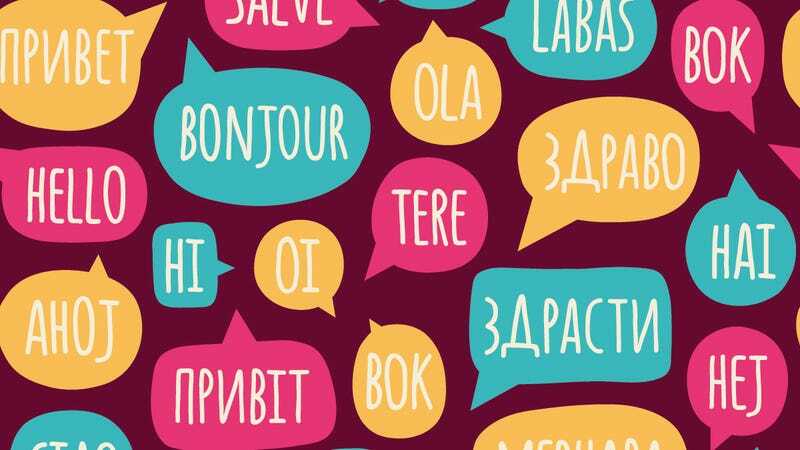 Learning a foreign language boosts brain activity, broadens your cultural horizons, and helps you avoid catastrophes when ordering from a menu in an unfamiliar country. You don’t necessarily have to sign up for classes or pay for a course to get started though—these sites and apps will get you on your way for free. Like a lot of free language portals, Busuu pays for itself with a combination of crowdsourced learning and a premium tier you can upgrade to if you want to take the next step in your learning. You can get a long way free of charge though, and the site is polished and simple to get started with. Interactive flashcards are the foundation of Busuu but you get spoken translations to help with your pronunciation too. There are also some simple games to help the vocabulary stick. You get the chance to practice in real-time with other language learners on the site, if you want to. HiNative is an iOS app that connects you with native speakers from all over the world—it’s positioned more as a Q&A platform but getting pronunciation and translation tips is part of its remit, so you can use it to get language learning help as well as advice on the best sights to see in a foreign city. Once you’ve worked your way through the tutorial you can ask for help using the preset question templates—it only takes a few taps—and then you need to wait for a fluent speaker to come along and help. In the meantime you can answer questions other people are asking about the language you speak. Available on iOS, Android and the web, Memrise is based around the tried and trusted flashcard approach to language learning, and if you really like what it’s got to offer you can upgrade to a premium account ($4.90 a month) for some extra personalization and motivational tools. The app starts with the most basic words and builds up from there: You get pronunciation guides as you go as well as mnemonics submitted by other users that can help you get vocabulary to stick in your mind. After you’ve completed a certain number of phrases you’ll be tested on what you’ve learnt. You probably already know there’s plenty of learning material available for free on YouTube, but FluentU picks out the best clips and adds translations underneath to help you work your way up in a particular language. You can go backwards and forwards as often as you like until you pick up the words and phrases in the clip. Your user dashboard offers a simple way of tracking your learning progress, showing the clips you’ve seen and new videos you might want to try out next. Again there’s a premium option available (from $8 per month) that unlocks the limits on video watching and audio listening, if you find FluentU useful. Recently featured by our friends at Lifehacker, Readlang is a web app and Chrome extension that lets you compare translations on websites or any text of your choosing. Install the extension inside Chrome and you can get words and phrases translated from one language into another with a click. The web app is more comprehensive and lets you upload your own texts and documents as well as find websites geared specifically towards language learning. There are some restrictions on free use which you can get around by paying $4/month or $30/year for a premium access. Duolingo appears on most lists of language learning resources, and it’s easy to see why—the free service works across the web, iOS, Android and Windows Phone and it’s straightforward to use. There are no ads, because the service uses some of your language skills to crowdsource translation services to businesses. You’ll find Duolingo speedy, intuitive and a pleasure to use, covering reading, writing, speaking and listening. You can go at your own pace and although the various apps seem simple on the surface, there’s plenty of extra background and support available if you dig a little deeper.